Yellow Wheel audition. Photo by Pippa Samaya. 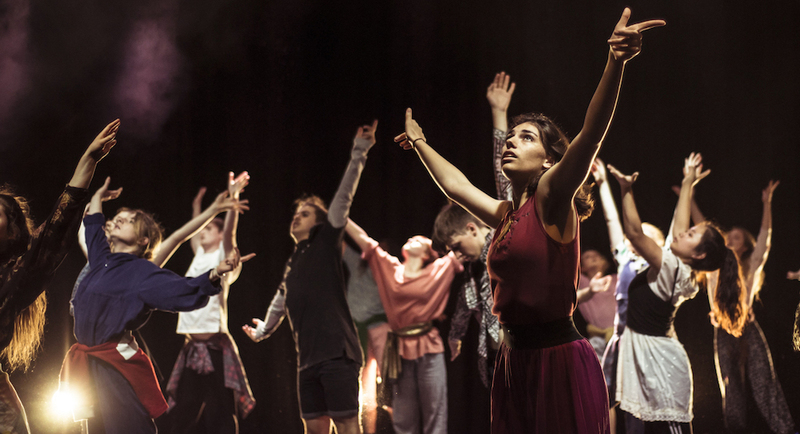 Yellow Wheel, established in Melbourne, in 2012, is an Australian pre-professional contemporary dance company specialising in working with young people and emerging artists. 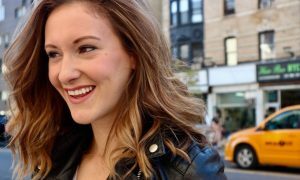 The company offers a range of programs that connect pre-professional dancers with successful dancers working in the field, provides rigourous contemporary dance training, and presents fresh new works that feature the next generation of artists. Joshua Lowe. Photo by Luke Byrne. 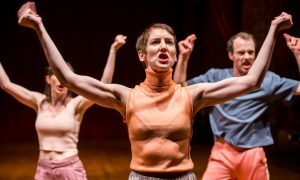 Coming up over the next two months, Yellow Wheel has many exciting offerings for young dancers in Melbourne, including performances, auditions for the 2019 companies and applications for dance leaders as part of its Dance Massive work in association with Tasdance and Chunky Move. In addition, Yellow Wheel has announced the appointment of its new Artistic Director, Joshua Lowe, and Associate Director, Kyall Shanks. Both have a long history with Yellow Wheel, both as dancers and choreographers with the company. 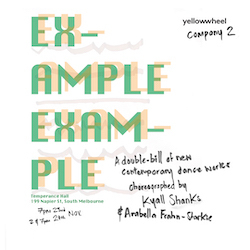 This month, Yellow Wheel will present Example Example, a new double-bill of contemporary dance works, choreographed by Yellow Wheel alumni Kyall Shanks and Arabella Frahn-Starkie. Shanks’s work, In Reference to the PDF, is a summary and representation of his and company members’ time spent together this year, while Shanks was overseas and the dancers maintained their play and investigations in the studio through the use of an infamous PDF. Frahn-Starkie’s Close Copy combines dance and photographic practice. It is dream-like and features multiple versions of a single memory. Example Example will be held 23 – 24 November, at Temperance Hall in South Melbourne. Tickets are on sale here. The company is also seeking young movers aged 14 and over for 2019. 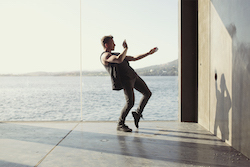 Yellow Wheel is offering two programs, Company One and Company Two, which both include exciting contemporary dance performance and training opportunities, including projects in Dance Massive, Australian Youth Dance Festival and an interstate tour. Company One members rehearse two to three times a week, as well as several holiday intensives for rehearsals and performance seasons. Company Two is a smaller commitment level and suits dancers with busy schedules. Auditions will take place December 2nd and 4th, at the new WXYZ Studios. Interested dancers are asked to register here. Yellow Wheel. Photo by Pippa Samaya. Also, Chunky Move, Tasdance and Yellow Wheel are seeking 30 dance leaders to be part of an outdoor performance in Dance Massive. The young leaders will be mentored and supported in the role by a team of professional artists, including Alice Lee Holland (Chunky Move), Adam Wheeler (Tasdance), Joshua Lowe and Kyall Shanks (Yellow Wheel), and James O’Hara (soloist). Applications are due 16 November, and can be found here. Kyall Shanks. Photo by Junpei Iwamoto. For more information on all of Yellow Wheel’s upcoming offerings for young dance artists, and tickets for the company’s upcoming season, Example Example, head to www.yellowwheel.com.au.